Scarring is often an inevitable result of the healing process after a traumatic injury to the skin. While the result of another injury, scars themselves can cause significant emotional and psychological distress and serve as a constant reminder of a traumatic experience. While some scars may be easily covered by clothing or makeup, scars that develop on the face or over a large portion of the body can be particularly troubling for victims. Fortunately, the law recognizes scarring and other types of permanent disfigurement as a compensable injury, which means that individuals who develop scars after accidents caused by negligence may be able to obtain financial compensation from those responsible. The personal injury attorneys of Flaherty Fardo are committed to helping injury victims recover and work hard to hold negligent parties accountable for their actions. What Kinds of Accidents Can Cause Permanent Scarring? Of course, there are many other types of accidents that have the potential to result in significant scarring. Because of the legal complexities that are often involved with personal injury matters, it is important for victims to have their case reviewed by an experienced Pittsburgh personal injury attorney. Keloid scars – Keloid scars occur when the body produces too much collagen during the healing process and the scar continues to grow even after the initial wound has completely healed. They differ from hypertrophic scars in that they grow outside of the area of the initial wound. Hypertrophic scars – Hypertrophic scars are also the result of an overproduction of collagen, but are not as serious as keloid scars and appear as raised red lumps on the skin. Atrophic scars – Atrophic scars occur when the tissues underneath the skin are lost, causing a pitted or sunken appearance. Acne scars are a common example of atrophic scars. Anyone who has developed these scar types after receiving medical treatment for a wound or after a planned surgery should be certain to discuss their case with a Pittsburgh personal injury attorney. Individuals who have developed permanent scars after an accident or due to the negligence of medical professionals may be entitled to significant compensation. 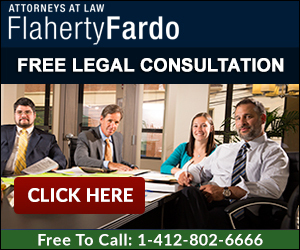 To schedule a free consultation with one of our lawyers, call Flaherty Fardo today at (412) 802-6666.